The Free Concert Series in the Richard Bradshaw Amphitheatre takes place in one of Toronto's most breathtaking and intimate spaces. The diverse city that inspires and unites us is the ever-changing backdrop seen from the beautiful Richard Bradshaw Amphitheatre, where artists from around the world share their talent and passion in six series: vocal, piano, jazz, dance, chamber and world music. From late September to May, you can discover exciting artists, both established and emerging, and experience the joy of live performance in an incredible variety of genres - and it's all free! Concerts take place most Tuesdays and Thursdays at noon, and some Wednesdays at noon or 5:30 p.m. Admission is on a first-come, first-served basis and seating is limited. Please join the line-up early to avoid disappointment. Latecomers will not be admitted. "Like" the Free Concert Series on Facebook to see beautiful photos from the performances and get reminders about upcoming events. 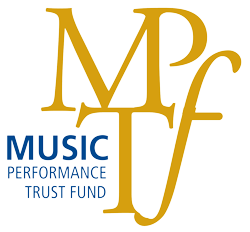 The Free Concert Series in the Richard Bradshaw Amphitheatre is supported by the Free Concert Series Endowment Fund, established in honour of Richard Bradshaw by an anonymous donor. Chris is a Toronto-based photographer, specializing in live performance and event photography, including (but not limited to!) opera, cabaret, burlesque, rodeos and wrestling. He is particularly interested in moments when the performer is fully engaged in their performance and how that relates to their connection with the audience. Chris has made images for the Canadian Opera Company since 2008, including the Free Concert Series, mainstage performances and other events. 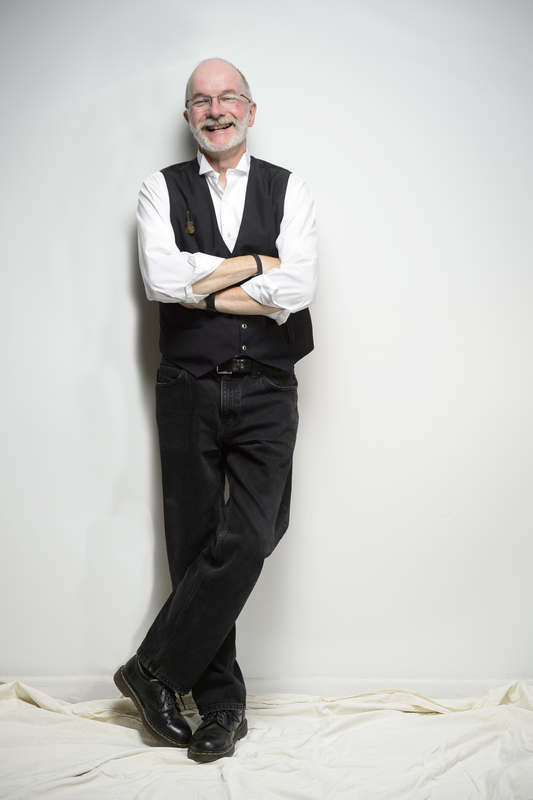 His work has been featured in media outlets and publications in Canada, the United States and England. Chris is also an experienced fine art printer. His fine art landscape and performance photography is in private, public and corporate collections. That photography blurs the boundaries of time has always inspired me. A single moment borrowed in the now instantly becomes the past in order for it to be shared into the future. Each performance in the Richard Bradshaw Amphitheatre is particularly unique and I strive to capture the subtle energy of those special moment and hold them still. Arrive early! Doors open half an hour prior to the performance start time and admittance will be granted on a first-come, first-served basis, of up to 230 patrons. Latecomers will not be admitted. Any photography, audio, or video recording is strictly prohibited during the performance. Please take a moment prior to the start of the performance to switch off cell phones and other electronic devices. 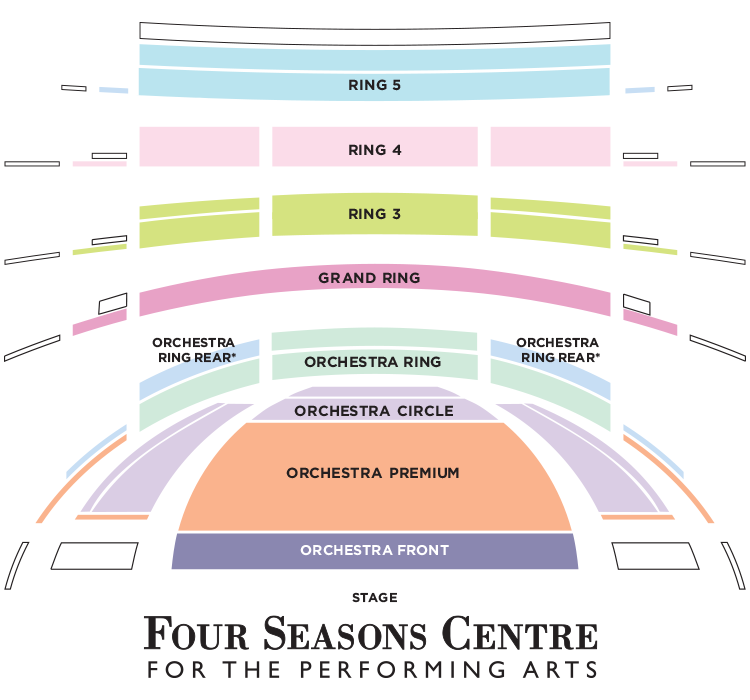 Sound carries very well in the Four Seasons Centre for the Performing Arts. Please turn off all cell phones, pagers and other electronic devices that may make noise. Any sound, including whispering, is distracting for both the audience and performers. Patrons who disrupt the performance by talking, making noise or talking on cell phones may be asked to leave. Although the programming is not geared toward young children, people of all ages are welcome to attend the concerts as long as they are able to sit quietly throughout the performance. Please unwrap and enjoy your candies in advance. If at all possible, eat your lunch before the performance begins. If you need to eat during the performance, please do so quietly. You are encouraged to stay in your seats until the end of the performance. There is no re-entry once the performance has begun. In consideration of patrons with allergies, please avoid wearing any perfumed beauty products and fragrances. To download our season brochure, click here. To download a print-at-home calendar, click here. The Free Concert Series in the Richard Bradshaw Amphitheatre takes bookings for school and community groups only (no individual reservations are available). Approved school and community groups are invited to book a maximum of three performances per season (annually, September through May). Groups are limited to a minimum of 10 and maximum of 30 participants. Bookings are available by filling out an education inquiry form or by calling 416-306-2392. Please include your name, affiliation (school or community group), age and number of attendees, any special arrangements that may be required for your group, and up to three concert dates in order of preference. Please wait up to one week for a reply from Education and Outreach regarding your booking. Sae Yoon Chon performing in the Free Concert Series (COC, 2017), Richard Bradshaw Amphitheatre, photo: Karen E. Reeves.